With no rules, no limits and no pit stopping, anything goes in this collision course of crumple zones, hit & run mayhem, and street level slamming where wrecking your opponent's motor in ultra-realistic smashes and crashes is the name of the game. Take on the rigors of a full Championship season and pit your wits against a motley crew of psycho-waster racers such as the Suicide Squaddies, Skum and The Optician as you storm up the rankings from Rookie to Pro. Destruction Derby works with a serial link cable for two player head-to-head action. 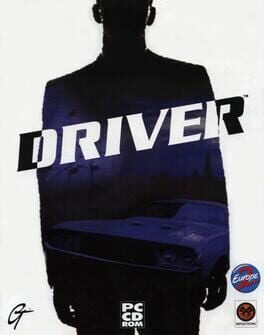 The player is John Tanner, an undercover cop who try to take advantage of his own excellent driving skill in order to infiltrate a criminal organization. 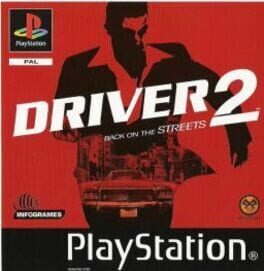 In the storyline, the player has the chance to drive several cars in four american cities (Miami, San Francisco, Los Angeles, and New York), facing many different missions and tasks such as delivering a vehicle without damaging it, eliminating competitors or being the getaway driver in a bank robbery. 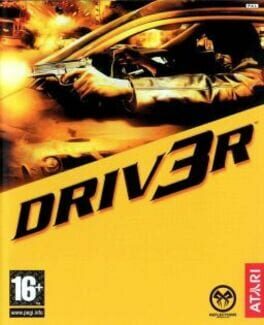 You are an undercover driver, trying to survive amidst an international war between American and Brazilian gangs. The action takes you to Chicago, Las Vegas, Rio and Havana, all of which are depicted in detail, with curved roads added from the first game. As before, you have full control over the car as it storms around the streets. A new feature is the ability to get out of the car, and carjack others. This is especially useful when you have fallen victim to the advanced damage modeling. There is a full sequence of missions to complete, as well as some pre-set challenges and a Free Driving mode allowing you to explore at your leisure. A game that takes your computer into a totally new dimension. Shadow of the Beast is the most stunning 16-bit game you've ever played- a game that pushes your computer's features further than you ever thought they could go. Shadow of the Beast boasts the most incredible high-speed parallax scrolling ever seen. It will confront you with 132 different and vicious monsters, all as arcade quality fully animated sprites. You will be dazzled by the 128 colors appearing simultaneously on screen and rocked by the 900K of atmospheric soundtrack. And you'll be completely hooked by Shadow of the Beast's 350 screens of fast and furious action. So prepare for an experience you will never forget. Kidnapped as a child by the evil Beast Mages, you have been transformed into a creature of fearsome power, agility and strength. In this guise you faithfully serve the Beast and its cohorts for many years as their warrior-messenger. Until one day you discover an awful secret- the truth about your past... a truth that drives you wild with anger and leads you on a trail of bloody revenge against your masters. Now the time has come to enter the Shadow of the Beast! Your task is to fight your way through hostile country to the heart of the enemy's stronghold, where you will face your ultimate adversary. Along the way you will encounter an awesome array of monsters and traps. Be ruthless, be quick... for only the strongest and toughest can hope to survive. Prepare to enter Shadow of the Beast. 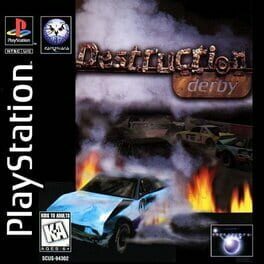 Destruction Derby 2 is the sequel to the MS-DOS, PlayStation, Sega Saturn and Nintendo 64 title Destruction Derby. Here the player must race on up to seven different circuits, in a range of modes, similar to its predecessor. 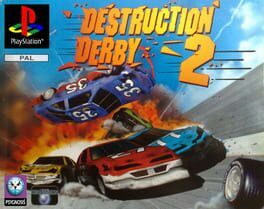 The modes are Wrecking Racing (where the player must destroy or spin the other competitors), Stock Car (a typical race where it's 1st to the flag) and Destruction Derby, which is based around the crash arenas. Commentator Paul Page performed as the announcer. 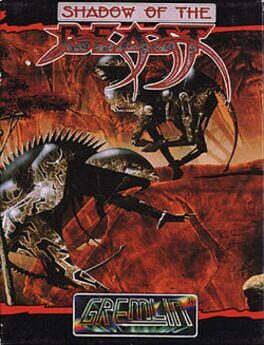 This Racing game is widely known for its destruction and chaotic themes that follow by loud, gritty and dark metal songs. In the world of stunt driving, all it takes is one slip to end your Hollywood dreams. As a stunt driver, you can't afford to fail when performing dangerous stunts. In six famous movie locations, you'll smash up vehicles ranging from TukTuks and snowmobiles to Jeeps and high-performance sports cars. 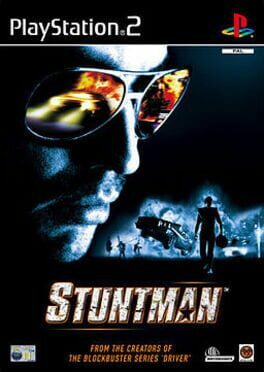 Begin a career in the stuntman industry or practice your skills in the stunt arena. After another hard day of risky work, replay the action as a polished movie trailer. In the game you take the role of Tanner, the undercover cop from previous Driver games, as he infiltrates a worldwide high-performance car theft ring. Nothing is too dangerous or too risky for Tanner, and you'll be able to hop into any car, truck, or motorcycle and cruise the streets of three re-created cities with over 156 miles of roads, from Miami, Nice, and Istanbul in over 25 storyline missions. 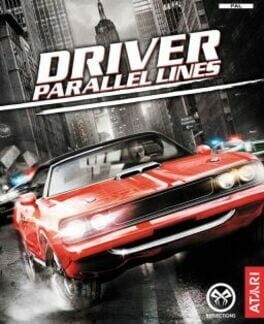 Meet up with characters from previous driver games, the story line lives on in this installment.